Rogers Pass has the best roadside skiing in North America. The worlds largest avalanche control program works to keep the Trans Canada Highway open as it twists under massive avalanche paths. 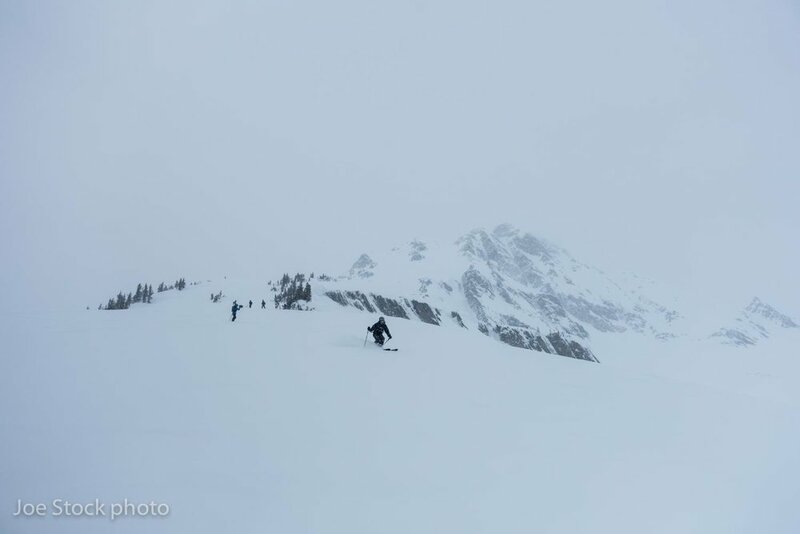 The highway gives access to vast backcountry ski terrain, from long tree runs to alpine glacier traverses. See the links below for more information. Rogers Pass is an hour drive from the ski town of Revelstoke, a small ski town with great bars and restaurants, but still a working class feel with railroad and logging. 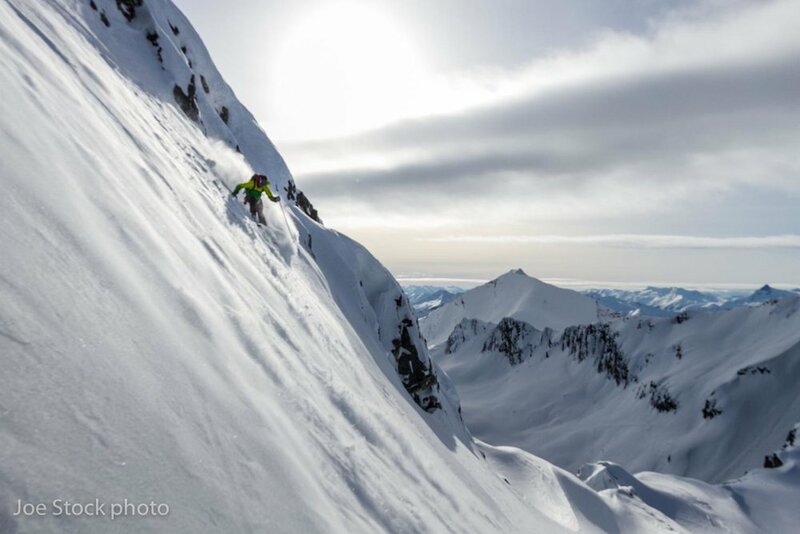 On the edge of town is Revelstoke Mountain Resort, which has the most vertical of any ski resort in North America. 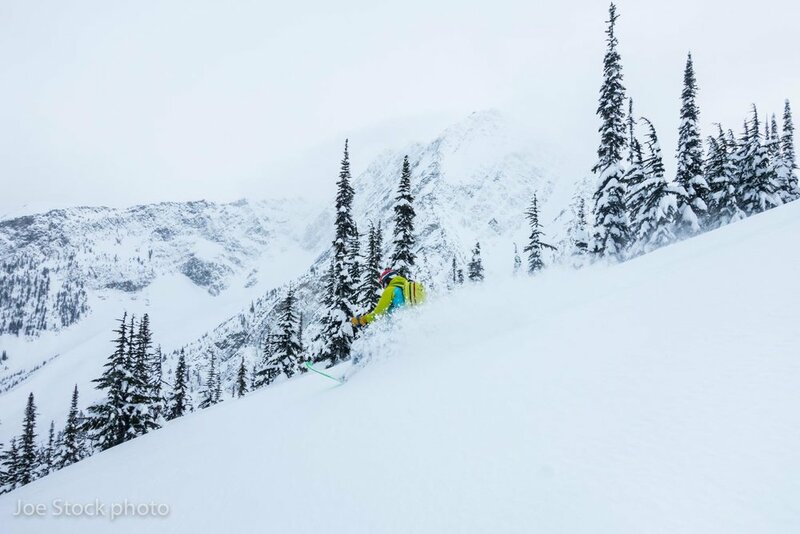 The Revelstoke sidecountry is a good option if Rogers Pass is closed. 4+ clients: $200USD per person per day, a second guide may be added. In partnership with the Association of Canadian Mountain Guides. 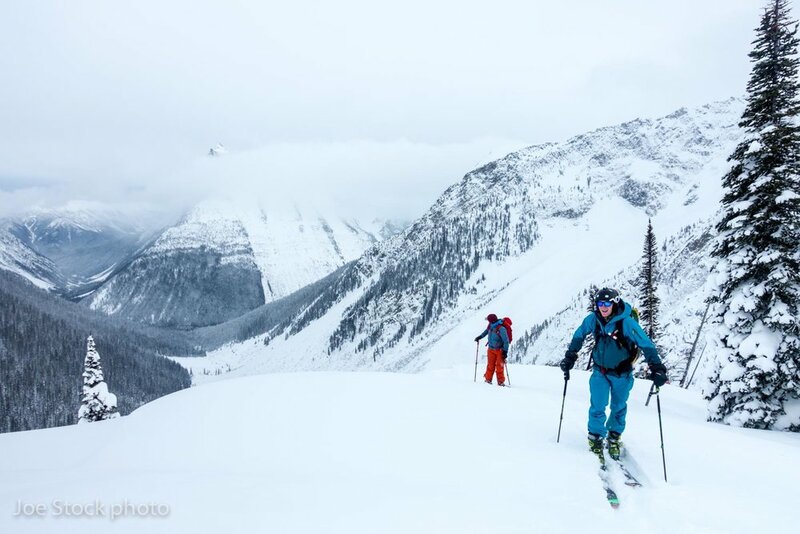 Revelstoke lift pass for yourself and the guide for sidecountry skiing. Personal gear. See Backcountry Ski Gear List (sections 1-5). Road conditions — Rogers Pass can close for avalanche control. Gaia GPS with the Canada Topo West layer loaded. The Google Earth layer is also nice to see tree openings. Parks permit quiz — if you plan to ski multiple days at the Pass, it’s best to take this test at home. It takes about an hour. La Baguette Cafe — the place to meet before skiing for coffee, breakfast and sandwiches for lunch.